Throughout Central Florida, numerous restaurants require the use of many different varieties of refrigerators. Whether they are walk-in coolers, freezers, or standard refrigerators, all restaurants rely on them to help sustain their business. Without high-quality refrigeration, restaurant owners must know their food inventory is safe and properly stored at accurate temperatures throughout the year. All Temp, a restaurant refrigeration in Orlando company, has learned all there is to know about refrigeration units and what it takes to keep them running strong all year long. Restaurant refrigerators run tirelessly in order to prevent food products from spoiling. Because of their constant energy usage, restaurant owners aren’t only paying costly energy bills but are also having to deal with any potential repairs that must be done quickly to ensure no food is wasted during the outage. For reasons just like this, All Temp offers many services that help maintain all types of refrigeration units to help owners avoid losing any product. The longer a restaurant goes without the proper care from a professional restaurant refrigeration in Orlando business, the greater the chance you have in losing one of your refrigeration units. The technicians at All Temp have been well trained and know how all refrigeration brands work. 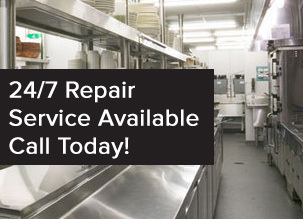 We have the expertise to fix any issue with any kind of restaurant refrigeration unit for your business. No matter when the problem occurs, All Temp has an emergency service that can fix any issues that require immediate attention, day or night. Along with All Temp’s emergency services, installation services are also available. Installing new equipment, while removing the old equipment, can be difficult, and All Temp wants to make the process as easy as possible for all restaurants. All Temp, a top restaurant refrigeration in Orlando company, wants your business to succeed and will do anything to help your restaurant grow. With constant maintenance being done to all your refrigeration units, your chances of experiencing any issues will greatly decrease. So don’t wait for something drastic to happen that might end up costing you in repairs and loss of product. 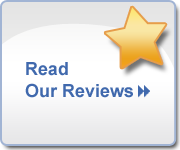 Call All Temp today at 407-857-7800 for the best in refrigeration service and maintenance.